Troy and his girlfriend Meghan have to be the most stylish couple in town when they head out for a ride. And it would be hard not to look good riding around on this perfect pair of Lemon/Lime Schwinns. A second straight day of gorgeous Schwinns well photographed as promised. Enjoy the weekend! Two old ten speeds here. Both are the 1973 Schwinn World bikes. From what i understand these were the first bikes to be imported by Schwinn and were only produced the one year. 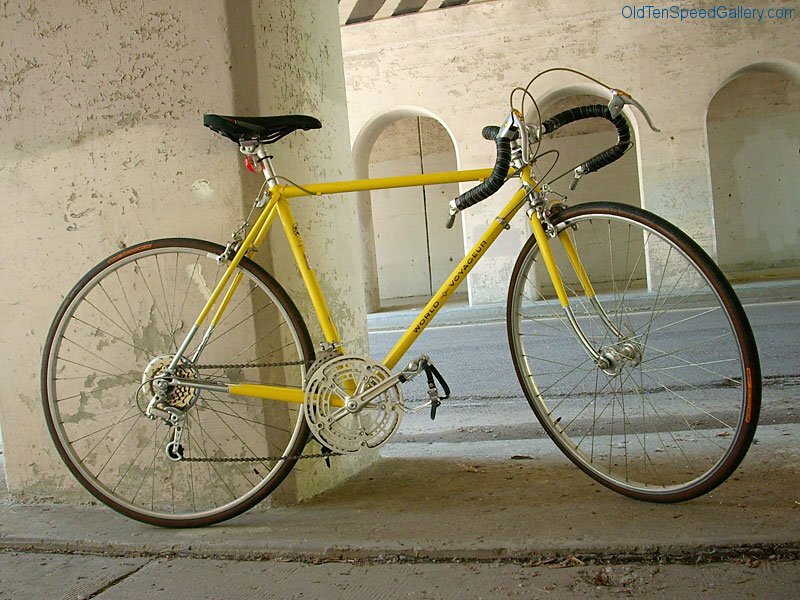 The yellow World Voyageur is mine, its a really premium bike that came with all top of the line components and an all chrome lightweight frame. The green World Traveler belongs to my girlfriend. Its a great midrange ten speed and she just loves it. Troy B’s Schwinn Caliente: Spared! How much is this bike worth? I have this exact bike in mint condition. Which one, the Voyageur or the Traveler? 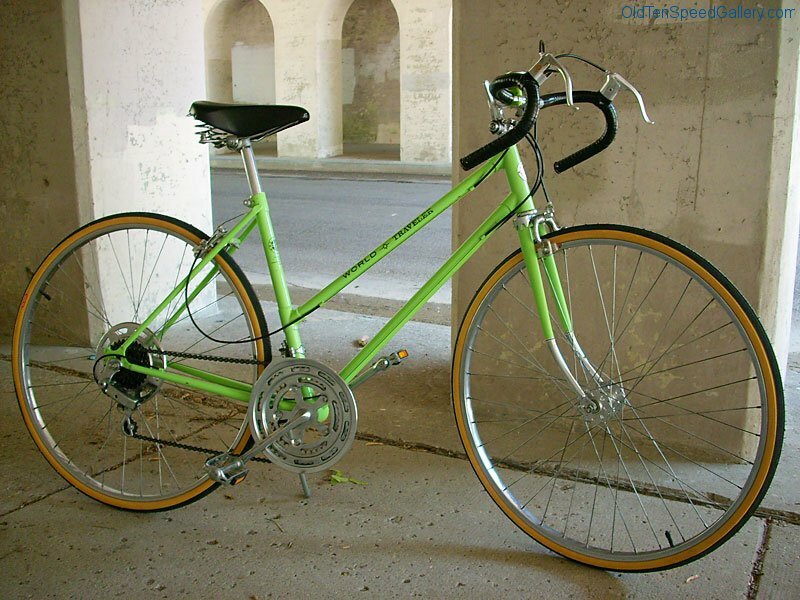 Hi,I was wondering if you would be willing to sell one or both bikes,I will pay you top dollar,especially for that green womans,it is my wifes favorite color, flpackman@bellsouth.net thanks,Jay. Hello! I was wondering if you are willing to sell that lovely green bike? If so, can you please let me know the price? THANK YOU! I also have a 1973 world traveler! I’d like to fix it up, but since I’m relatively new at this, could anyone tell me how this green one has been updated? It looks like it still has a lot of original parts. Or is there some way to contact the owners about it? Thanks!